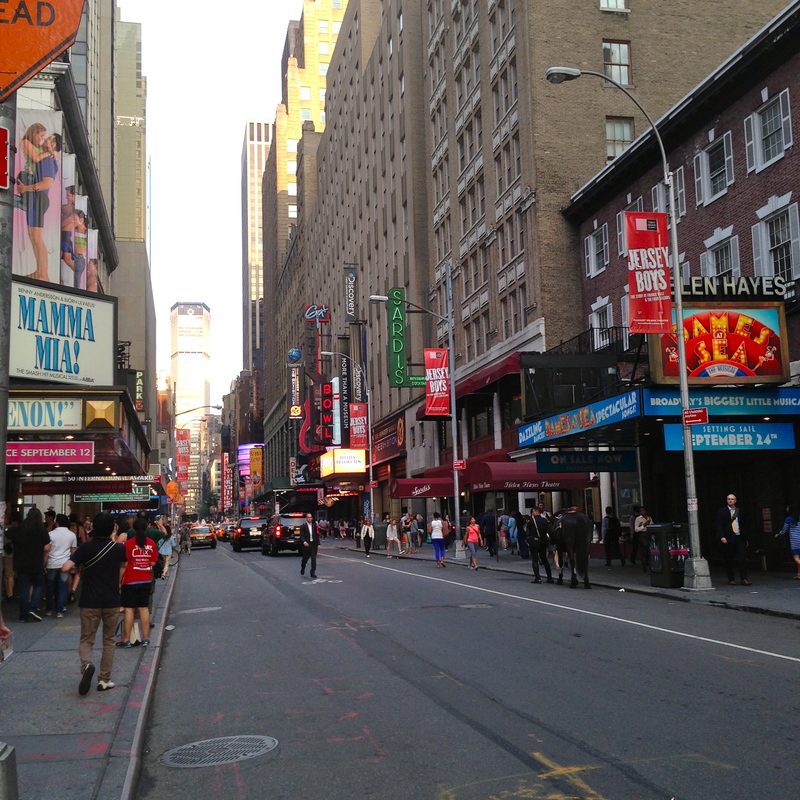 I always am asked how to “do Broadway shows” meaning everything from buying tickets, to where is best to eat in the area before the show. Times Square can be tricky, so I always provide dinner suggestions with the least tourists, and shows that have affordable tickets. That way, you can see more shows without becoming broke, and can trek to Times Square multiple times without losing faith in humanity. Tickets are pretty expensive. The average is around $70 per ticket, but I’m going to tell you how to get them cheaper. If you’ve never seen a Broadway show, see a musical. They are mind blowing. Shows are every night Tuesday through Saturday around 7:30 p.m./8:00 p.m., and matinees occur every Sunday and Wednesday around 2:00 p.m. (Some shows differ, so consult this list of showtimes). You should dress nicely to see these shows – no jeans. People will come in jeans. They are the worst people. Always save your Playbills. Especially if you get them signed at the stage door after the show. Oh, Hello… (General rush, $32 per ticket, In-advance tickets for students: $39 per ticket) Click to see where the stage door is hidden, and meet Nick Kroll and John Mulaney! Book of Mormon (Doesn’t have rush options, but get to the theater 2.5 hours before curtain and you can enter the in-person lottery – if you win, the tickets are $32 – or get standing room only tickets for $27). I suggest waiting in line for standing room only tickets while you wait for the lottery to be drawn just in case. The TKTS line (at the red steps in Times Square): The TKTS line is for day-of tickets as well. These tickets will be more expensive than rush tickets, but they have a few more options. They will never have Disney shows available, because Disney doesn’t discount. Check the TKTS app to be in the know about which shows are going to be offered that day! TodayTix: If you really don’t like leaving things to the last minute, this is an app to purchase discounted tickets. Goldstar: Surprisingly, a great website for purchasing tickets. I used it for a Lincoln Center show the other day. You can use for broadway, off broadway, etc. Talking with people in line is the best part. Someone in the rush line will likely have seen that particular show 10 times. These are the serious theater junkies. In the TKTS line, you’ll have people advertising shows to you while you wait. This can actually be great if you’re not sure what you’re going to see. Likely, these people advertising will have seen all the shows, and honestly tell you the best one to see. 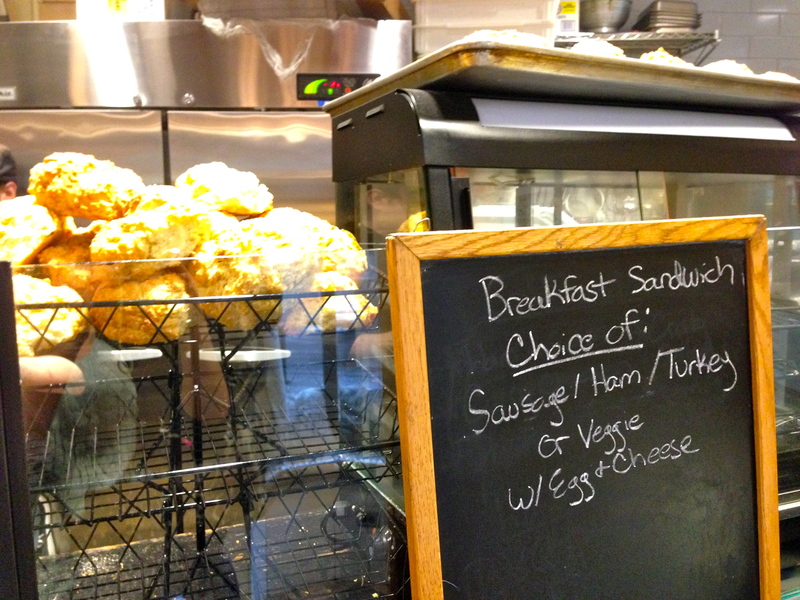 Get breakfast and coffee at Donna Bell’s. 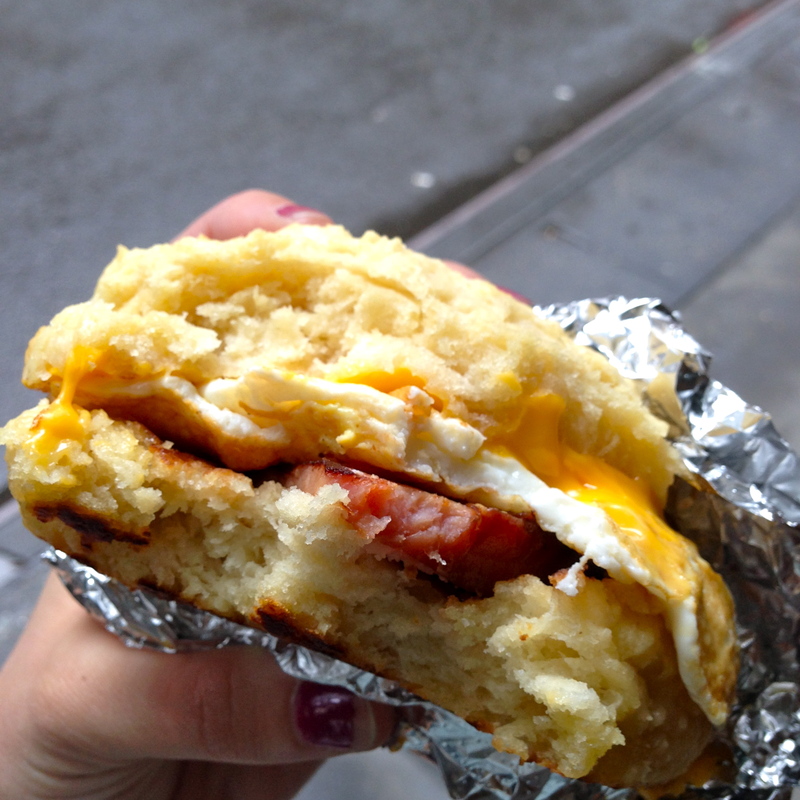 It’s on 49th street and 8th ave, so have someone stand in line and the other person fetch DELICIOUS BREAKFAST SANDWICHES. They are hot homemade southern biscuits with cheese, eggs and your choice of meat. They are the best. I get them too much. Choose your seats wisely. The cashier at the box office will usually give you the best seats available, but ensure that you see on the map where they are. Take your time and ask questions – you just waiting for an hour in line! In the TKTS line, the cashier will probably give you the best seats available (which might be a little expensive). Ask them if there are any other options before just taking the first ones that are offered. You’ll either have tickets to the matinee or the evening show. Either way, you must go to lunch or dinner. Obviously, there are great options for meals outside of Times Square, but I’ll give you some good restaurants near Times Square if you really want to be in the area. I don’t suggest touristy places, so go to Carmine’s if you want touristy. (That being said, there’s nothing wrong with a GIANT plate of pasta). Bea: A hip gastropub in Hell’s Kitchen. Walk to 43rd and Ninth and grab a seat with real NYC locals. Delicious burgers, shrimp toast, pear salad and bespoke cocktails. Feels like you’re in Brooklyn. Yum Yum Too: Yes, there are multiple Yum Yum restaurants in the area, and they’re all good. This one’s on 46th and Ninth. The Yum Yums offer a delicious, affordable and fast Thai dining service. The best thing to do at the Yum Yums? Get the prix fixe – such as good deal. Gotham West Market: On 44th and 11th, this is far from the tourists. This place is basically a trendy food court, so it’s very chill. You can get everything from tacos, to ramen to oysters. 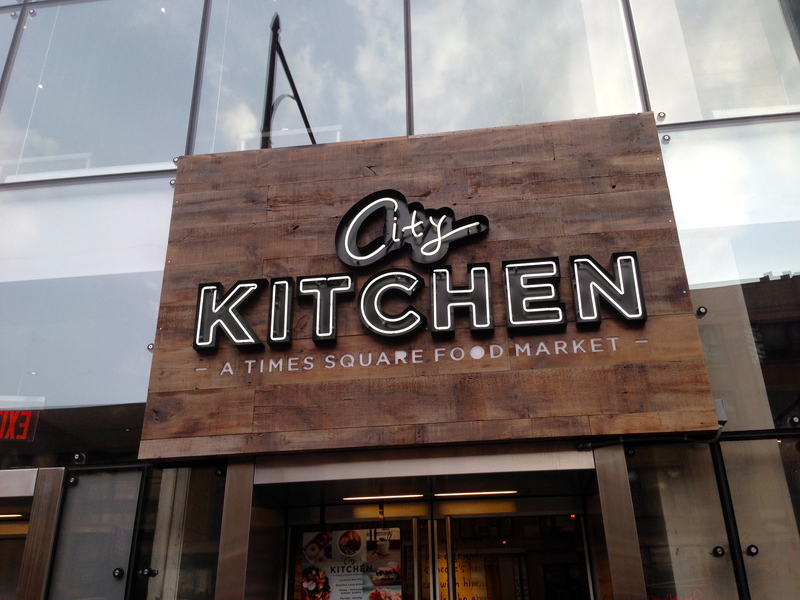 Another “food court” style location is City Kitchen, the only thing is it’s a little closer to Times Square (can be good and bad). If you’re seeing Book of Mormon, pre-order cocktails at the bar next door called Cielo at the Mayfair hotel. Yep, you can leave the theater during intermission, grab your drink and come back for Act II. Bring your ticket! This is great for standing room only, because it gives you a place to sit and relax for a few minutes. 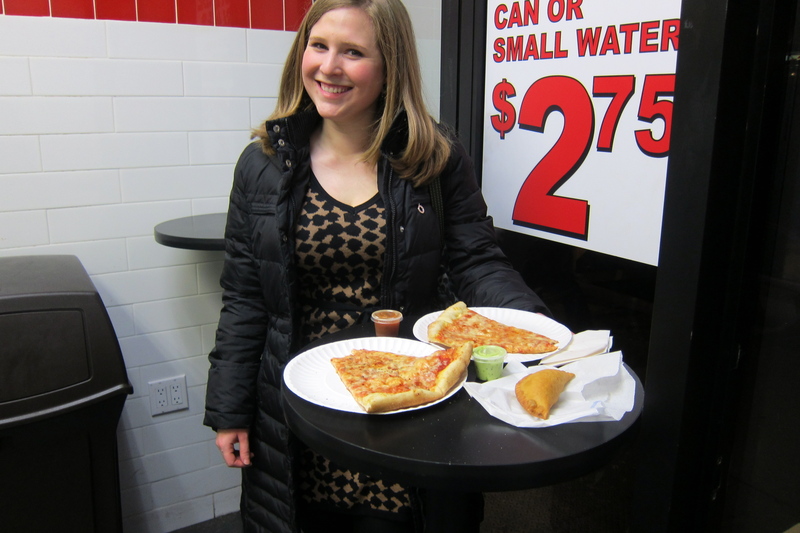 Of course, there’s always $1 pizza. If you want to keep it reallll cheap. Location: everywhere. So now you’ve seen a wonderful show, and you’ll be singing the songs all night. Be sure to step outside and find the metal barriers – these usually signal where the stage door is, a.k.a. where all the actors come out afterward and sign your Playbill. Broadway stars are the best. 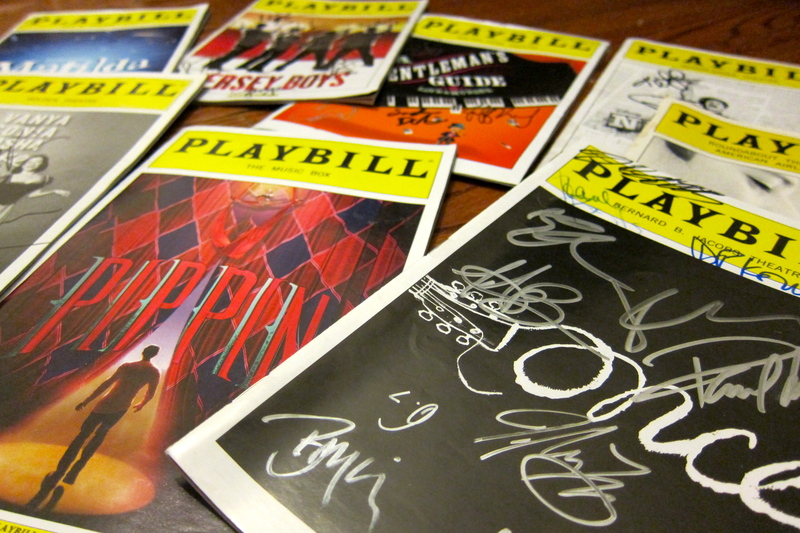 They’ll sign everyone’s Playbills, and sometimes they have time to stop and chat and take a picture. Then, they’ll get in their private cards, on their motorcycles or just walk to the subway and head home. So. Awesome. I can’t wait to check out that place for breakfast sammies, thanks for the recommendation! Also, been using TodayTix app a lot this summer and loving it for last minute deals! Good to know! Todaytix is going to be my new go-to I think. 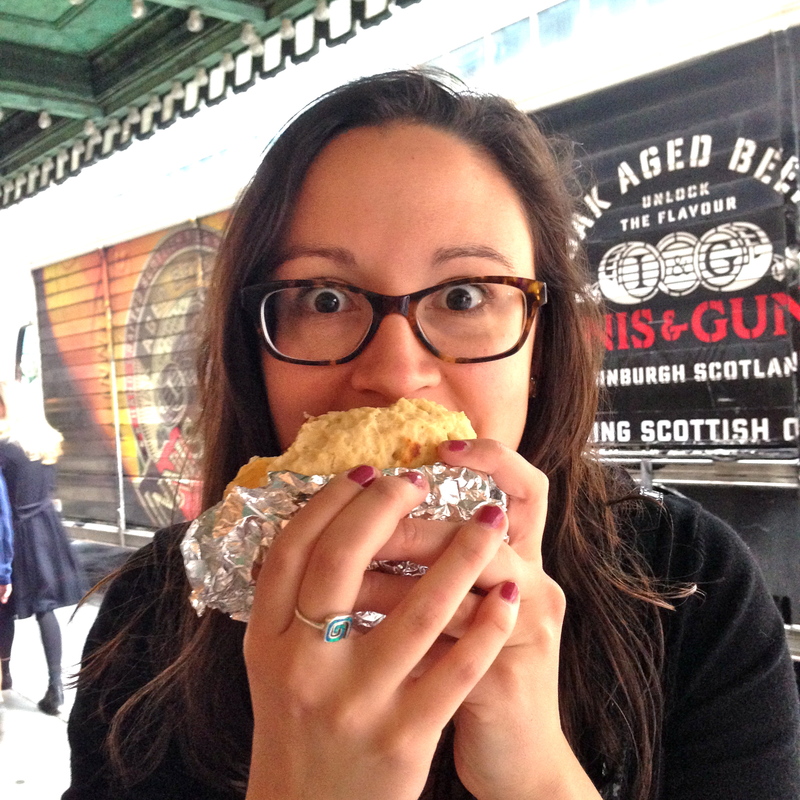 And yes….standing in line has never been better with those sandwiches in hand! Awesome! Let me know if you go – there are so many fun things to do in the city. Totally! 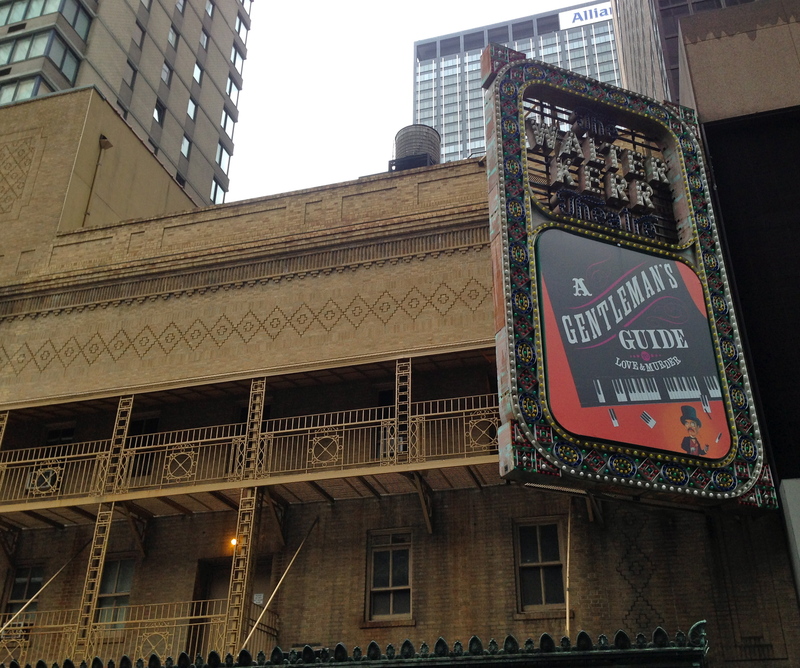 There’s nothing like feeling luxurious at Broadway show under $50. Great tips, I’ll make sure to remember them the next time I’m in New York! I’ve only been twice, and ended up seeing Breakfast at Tiffany’s (with Emilia Clarke, so exciting!) and Newsies, which I loved! 🙂 thank you! Thanks Lisa! Those are some great shows to see – Newsies was one of my faves. THE DANCING! !